Record Breakers' Festival 2013 at Noida - Noida Diary - Rediscover Noida With Us! Record Breakers’ Festival 2013 was celebrated to honor and appreciate who dared to break limits with their sheer will power and set high standards of endurance and skills in year 2012. The 2nd Record Breakers’ Festival 2013 was celebrated to honor and appreciate who dared to break limits with their sheer will power and set high standards of endurance and skills in year 2012. The one-day festival’s highlight had been 101 different amazing records slated to be broken at a single venue. Along with that, the much awaited India Book of Records-2013 in English language was launched on this occasion. International guests from Laos, Cambodia and Vietnam were also gathered to witness this mega record breaking event. Sukhwinder Singh Lottey of Dhuri created another record for fastest poem written inside bottle during the 2nd Record Breakers’ Festival held at Indira Gandhi Kala Kendra, Noida on 27th February 2013. So far he has written 45 poems in various languages. Each of his poem has a social message. Mainu na pee, sukhi jeevan jee. do not drink me and live happy. India Book of Records Records Breakers Festival was held for yet another time in India. This festival was celebrated to honor and appreciate those who are always striving to do something beyond their limits. We celebrate the courage of those people who break the limits by their sheer will and mind power. We constantly strive to Encourage-Motivate-Acknowledge-Honor such remarkable people ‘Who Dare to Do Something for themselves and Others around them’. Whole India and the record holders fraternity celebrated INDIA BOOK OF RECORDS DAY on February 27, 2013 from 12:00 pm onwards at Indira Gandhi Kala Kendra, Noida (Sector 6). The one day festival saw the breaking of 101 different amazing records by people who are kings and queens of their own fields and thereby get the kind of applause they deserve. International guests from Laos, Cambodia and Vietnam gathered to witness this record breaking event. But the major source of attraction were our outstanding record holders who made the festival a worth watching series. There are some glimpses from the amazing festival. 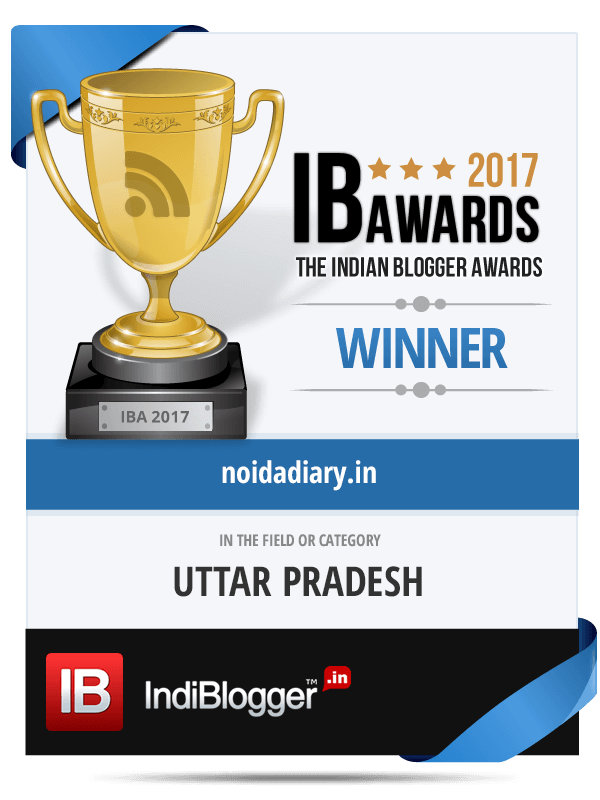 Subscribe to Noida Diary by Email for the latest in Noida here.Connect with us on our Facebook page Noida Diary and our Twitter handle by clicking the links. Disclaimer: The details provided in this blog are for information purposes only. Efforts have been made to check the veracity of these details. However, neither Noida Diary nor Bushra Muzaffar take any responsibility for any error or omission. -Images are duly credited wherever possible, however if the use of these infringes upon any copyright do inform us and we will promptly remove them. -Permission is explicitly denied for any republication of text or images in this post without prior express written consent of the author, Bushra Muzaffar. Noida seems to be a happening place! Very interesting Festival. Love that poem!! The concept of writing poetry inside a bottle is quite novel. Interesting Post.Hats off to Sukhwinder Singh Lottey.Great to know him. Poem with a message and unique style of presenting it…ya interesting indeed. no? Thanks Kalpanaa for stopping by! Indeed a great way of presenting the creativity and then going on to set a record. Thanks for reading this Sriram! Isn't it amazing! Thanks for stopping by, Kokila! Quite unique and interesting way of presenting a poem. no?! Such talents recognized and awarded gives others an inspiration too. Thanks Somali for visiting by! True Bushra. Recognition gives boost to talent. Moreover such talent can actually be made use of by consumer brands for advertising.